There are a lot of comfortable hotels in Naples. Guests can choose to stay on the seaside or in the historical center. 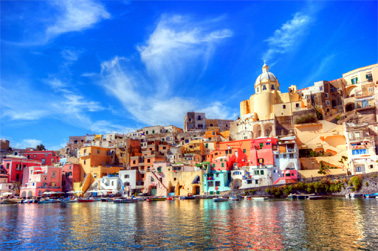 Best hotels offer accommodation and meals for the guests of Naples. 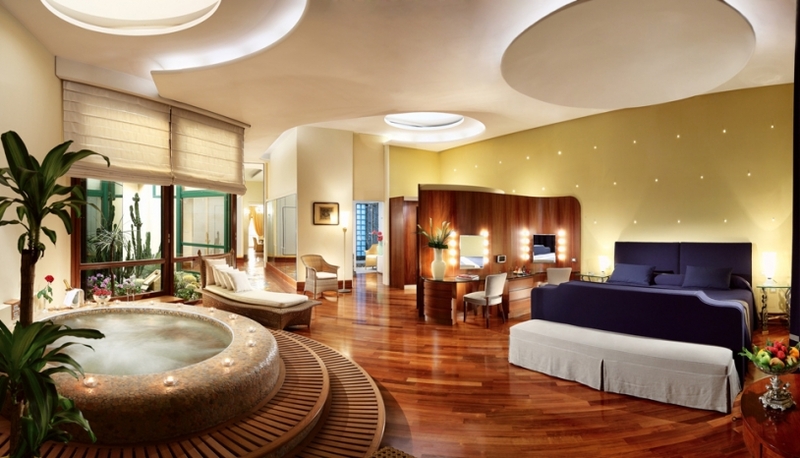 This superb hotel is the best choice to stay in Naples. Seafront location is marvelous. Excellent meals and wine are served in a charming roof restaurant with lovely garden. In this restaurant guests can enjoy not only delicious dishes, but also magnificent views. The seaside, the Mount Vesuvius and the Castelo dell'Ovo can be seen from this terrace. It's incredibly pleasant to enjoy delicious dinner and fine wines in romantic atmosphere with candles and admire the unforgettable view. It takes some minutes to get to the beach. Near the hotel it's possible to stroll along the seacoast. All the premises of this hotel are nicely decorated. The interiors are very beautiful. Rich and tasty breakfast is offered for guests. Fantastic luxury of this hotel makes the guests happy and relaxed. Additional bonus is wellness center with indoor pool. This business class hotel has a great location. It is very close to the old town. It takes some minutes on foot to get the main sights of the ancient town, museums and shopping streets. The rooms are very specious and elegantly furnished with large and comfortable beds and all necessary equipment. There is a splendid roof terrace. There are restaurant and bar on it. It's possible to have drinks on the terrace admiring magnificent views. The staff is helpful and friendly. There is a conference hall for business visitors. This hotel offers large beautiful rooms, superb restaurant and excellent location. This hotel is not large, but it's very nice. Warm welcome is waiting for all guests. The location is splendid with the front sea view to the bay and to Vesuvius. There is an open terrace in which guests can have plenty breakfast admiring magnificent views. The hotel occupies the building of the old villa. Elegant classic interior, nice decor and beautifully furnished rooms make the stay of all guests pleasant. It's possible to feel tranquility and relax. The hotel is close to historical center and to the beach. This hotel is small, but lovely. The atmosphere of old days and traditions can be felt in it. This hotel is very small, but very beautiful with central location in the old town in a historical building. The antique elevator brings the guests to the entrance of the hotel. All rooms are nicely decorated with beautiful paintings. The hotel is close to the main cathedral. When the guests go out they immediately find themselves in the central streets with great number of different restaurants. In this hotel it's possible to feel the atmosphere of the very old traditional small family run hotel and enjoy the great ambience in the heart of the old town.